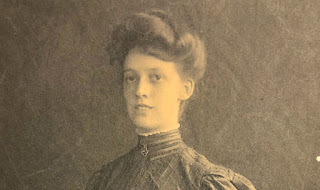 Lara's essay won the Nancy Carnegie Merrill History Award for the high school division in April 2013. Lara attends Exeter High School. The Spanish Flu of 1918 was the greatest pandemic of influenza recorded in history. When this flu infected a community, it spread at a rapid rate and killed within a few days. Recovery was long if the infected individual survived. The Spanish Flu started out as a normal flu with symptoms of fever, nausea, aches and diarrhea. What made this virus so deadly was that many people developed severe secondary pneumonia. The dark spots showed up on their cheeks and they slowly suffocated from lack of oxygen. This flu was particularly destructive because it primarily killed people ages 15 to 55 by making the immune system attack the body in a cytokine storm. It was thought to have originated from America but spread through the Army to Europe during WWI. Many European newspapers suppressed the news of the flu except Spain, where the nickname, the “Spanish Flu,” came from. Although, it affected many communities, Exeter, New Hampshire was still hit hard. The devastating Spanish Flu of 1918 changed community demographics, created a new outlook on contagious illnesses, and increased the need for medical doctors. Exeter was struck by the Spanish flu in mid-September of 1918. By the end of the month, there were hundreds of cases recorded and numerous deaths from the virus. However, the peak of the flu was not until October. Nearly 25% of the total deaths in Exeter in 1918 occurred in that month alone. The Cottage Hospital was overwhelmed by the number of patients and the lack of doctors. The disease was contagious to a degree that even the doctors themselves were contracting the illness, further postponing the progress of helping people become healthy. Various events in Exeter were postponed or shut down due to the flu. The public schools were closed. Church and club gatherings were postponed. The Rockingham County Farm, a local jail, was quarantined. No visitors were allowed to enter the jail buildings. The IOKA was closed by the State Board of Health, which advised in the Exeter News-Letter of October 4, 1918, “... the prevention of unnecessary public gatherings and the closing of schools and places of public amusement will help much, there can be no doubt.” At this time, not many people could work because of contracting the illness themselves or having to take care of someone who had. This created a downturn in the local economy's productivity. During this time, Phillips Exeter Academy was one of the few places not closed down due to the illness. However, the students had been prohibited from going to the local soda fountains. If they had closed down the school, the boys, who were from various parts of the nation, would have only spread the disease by going home. The gymnasium of the school was set up as an infirmary to care for the sick. There was a great need for doctors because many had been called off to serve in WWI, leaving few on the home front. 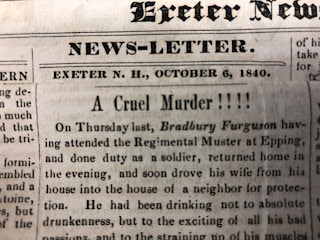 Obituaries riddled the Exeter News-Letter. Townspeople were dying. The Tewhill family was hit significantly. Three people in the family had died of the flu out of the five who had contracted it. Other stories like this family's circulated. Nearly everyone had been affected by the Spanish Flu. A total of 102 people died in Exeter in 1918 alone. If no one directly related had been lost, a neighbor or fellow community member had. By November, Exeter slowly started to recover from the outbreak of flu. Public schools reopened October 28th. The community was beginning to move again. Stories of recoveries were being published in place of what had been obituaries. “Chief Elvyn A. Bunker resumed his duties on Monday after a long sickness from the influenza,” stated the Exeter News-Letter. Although, many people died and the town was left to mourn, Exeter moved on but was forever changed. As a result of the Spanish flu, Exeter had a new community outlook. The local economy was slowed by the lack of healthy citizens. The disease attacked people, mostly in the prime of their life like Paul E. Higgins, who died of influenza-pneumonia when he was just 23, changing the demographics of the area to a population consisting more of the very old and the very young with weak immune systems rather than the typically most productive age class. The seriousness of the disease opened the general population’s eyes to contagions. Lastly, the need for doctors became apparent. The epidemic of the Spanish Flu was a major turning point for Exeter, New Hampshire. "Registered Deaths of Exeter, NH," Exeter Historical Society Archives,1918. Rimkunas, Barbara. "Historically Speaking: The 1918 Influenza Outbreak." Seacoast Online, (2012), http://www.seacoastonline.com/articles/20121113-NEWS-211130345. Richard Knox, "1918 Killer Flu Reconstructed," NPR, (2005), http://www.npr.org/templates/story/story.php?storyId=4946718. "Deaths from Pneumonia," Exeter Newsletter, October 4, 1918. "Town Affairs," Exeter Newsletter, October 25, 1918. State Board of Health, "The Influenza Situation," Exeter Newsletter, October 4, 1918. Underhill, William B., Norman H. Beane, and George A. Carlisle. Exeter News-Letter. 4 Oct. 1918. Rockingham County Farm Quarantine. Rockingham County Farm, Exeter, NH. "Improved Conditions," Exeter Newsletter, October 18, 1918. "Notice," Exeter Newsletter, October 4, 1918. "Town Affairs," Exeter Newsletter, October 11, 1918. A.T. Dudley, "Red Cross," Exeter Newsletter, October 11, 1918. "Health Conditions Somewhat Improved," Exeter Newsletter, October 4, 1918. "The Influenza," Exeter Newsletter, September 27, 1918. Congrats to Lara Weed. Her essay was so informative, she really made it clear and organized.